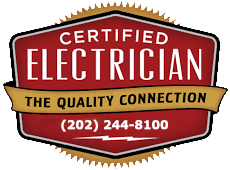 Since 1948 we have provided our customers with skilled electricians DC-MD-VA area. Your safety means everything to us. Our electrical code training will keep your family & home electrically safe. Check our coupon page! Periodically we reduce our prices on most popular electrical services. Quality is the same. Our skilled craftsmen have all the latest tools, methods and updated electrical codes. We do it right the first time. We offer all types of residential electrical services. Our electricians DC-MD-VA can handle any type of electrical work need. Without them there nothing We treat our customers like family and family come first. Whether you need Installation, repairs, or upgrading in your business, our electricians DC-MD-VA can handle it. If every US home replaced just one light bulb with an LED bulb, we would save more than $600 million in annual costs. Crescent Electric Service Co, Inc.
Crescent Electric Service Company Inc.